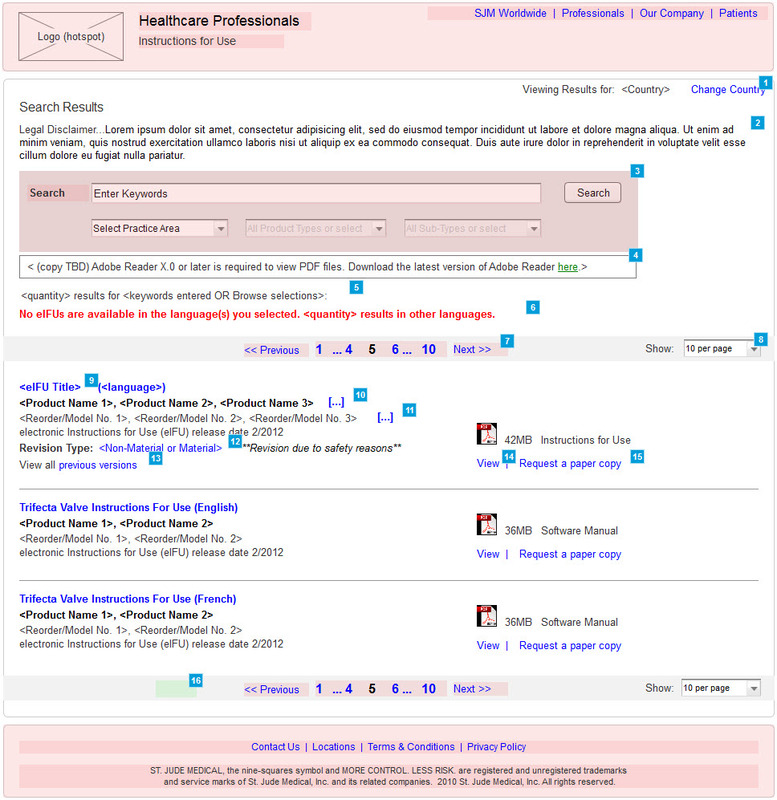 In response to government regulation that allows an electronic version of a medical device Instruction for Use (IFU) to be substituted for a printed version, St. Jude Medical required a website where medical professionals from around the globe could search for and download IFU documents. I designed an interface to accommodate selection of continent, country, and language preferences before searching a vast database of the IFUs. The wireframe below depicts the Search Results step, which includes an option to preview an IFU before downloading a PDF or ordering a printed version. Visit the St. Jude Medical (now Abbott Laboratories) Instructions for Use website.